Phiroshaw Camay, who very sadly passed away last week, was probably my closest friend and comrade for over three decades. 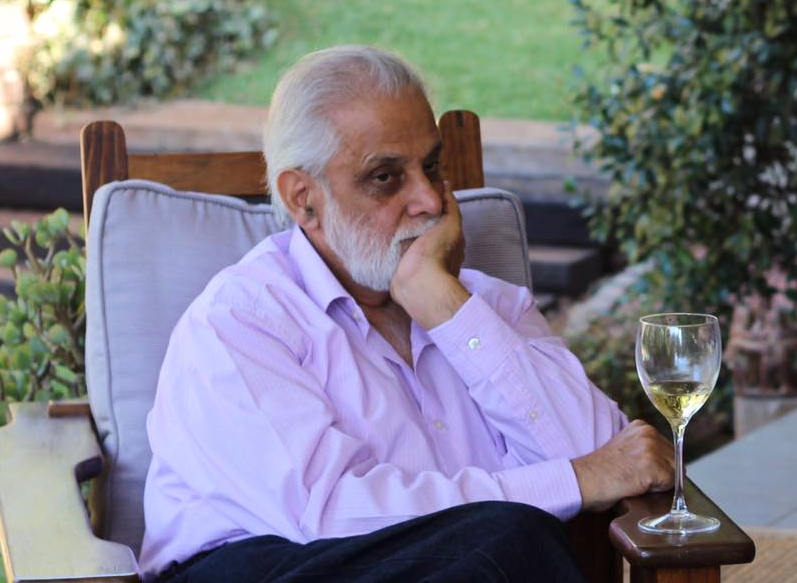 “PC”, as he was affectionately known, was a veteran and stalwart of the labour movement and civil society in South Africa. His passing has created a breach in the institutional memory of both sectors. His considerable intellect contributed to many political, social and economic discourses in both pre-and post-1994. We first met in 1982, during trade union unity talks, which ultimately led to the formation of the Congress of South African Trade Unions (Cosatu) in 1985. At the time he was the general secretary of the Council of Unions of South Africa (Cusa). I was an organiser for the Orange-Vaal General Workers Union, based in Vereeniging. PC became interested in trade unions while he was working as a librarian in the Johannesburg City Council. He rose through the ranks to become the leader of Cusa and thereafter the National Council of Trade Unions (Nactu) and a major figure in the wider trade union movement. He played a leading role in the trade union unity talks, but Cusa, influenced more by the thinking of the Pan Africanist Congress and the Black Consciousness Movement, did not join the largely ANC and Freedom Charter aligned unions, which constituted Cosatu at its birth in 1985. In 1989, PC resigned from Nactu after failing to get the federation to support the Harare Declaration in which the ANC set the terms for negotiations with the Nationalist Party, which ultimately culminated in the 1993 settlement and the first-ever non-racial and democratic elections in SA in 1994. His view was that the federation he led could not ignore major political developments, which were going to affect the future of the country. Deeply disappointed, he decided with a few others to form the Co-operative for Research and Education (CORE) in 1990, an NGO he led since then, through thick and thin. Even when the funding environment became very tough after 1994 and especially over the past decade he managed to hold CORE together. Many were unaware that part of the reason CORE stayed afloat was because he took a big salary cut to avoid laying off his staff, a measure undoubtedly influenced by his days in the union movement and the resultant sympathy for workers. An important area of work PC was very involved in, especially prior to the 1994 elections, was voter education. He worked a lot with the Independent Electoral Commission (IEC), both before and after elections, travelling to many areas to conduct voter education through community workshops. The one big concern he had was that these processes were often too technically driven, without sufficient emphasis being placed on what the burning issues were in the lives of voters and how elections could bring social change rather than just dealing with the technical aspects of voting. He tried to fill this gap when he ran voter education workshops in communities. Many people remember him fondly for his strong leadership skills at the IEC. PC often spoke about some of the major concerns he had with how post-apartheid SA had turned out. The widespread and growing poverty, unemployment, social inequalities and related social miseries were his biggest concerns. He often lamented how trade unionists we worked with in the 1970s, such as Cyril Ramaphosa, Marcel Golding and Johnny Copelyn, became very wealthy overnight after 1994 through black economic empowerment (BEE), while the workers they led remain trapped in low wages and poverty. That was if they were still lucky to have a job following massive retrenchments across all sectors in the 1990s and 2000s. As a former trade union leader this situation, in particular, riled him. And yet he told me a few times that despite this unpalatable fact, he greeted these former union leaders without acrimony when he bumped into them on his travels to civil society meetings and when fund-raising, inside and outside the country. For him the only way this status quo – deracialised capitalism and the white and black elite who ran the system – could be challenged and changed was through building a powerful civil society movement that could hold the ANC government accountable. It is mainly for this reason that he devoted so much of his time to civil society and trying to keep CORE alive. PC deeply regretted the death of many NGOs in SA after 1994, a period when funding started drying up. He felt that the need for a strong civil society was in fact greater in the post-apartheid era, because the imperative now was to build a fair and just democracy. In this regard, he noted that the ANC government did little or nothing to try and sustain civil society. To the contrary, he mentioned a few times that they were rather busy attacking social movements, especially during the period when they were very active in the late 1990s and early 2000s, in opposition to the neo-liberal policies at local government level in particular. The last issue I recall that concerned him a lot was the student violence at universities. We both attended the Ruth First Memorial Lecture at Wits University in August. In this regard, he was appalled, particularly, by the burning down of libraries and artworks at some universities. I am certain that because CORE was itself involved in educational and research work in communities this contributed to the disdain he felt for such protest action. He simply shook his head, sitting next to me, when my question about such violence at the Ruth First Lecture at Wits was contemptuously dismissed as “irrelevant”. PC played a leading role in several NGOs and especially in the water sector. He was chairman of the Network against Child Labour and the Community Education Computer Society and chaired both the Rand Water Board and the SA Association of Water Utilities. He was also chaired the Sci-Bono Discovery Centre in Newtown for the past ten years – an organisation which has made a huge contribution to science, technology and maths education for learners in the Johannesburg area. PC served on many NGO boards and worked tirelessly to build the capacity of other NGOs and community organisations around South and Southern Africa, especially in the areas of governance, policy advocacy and management. To his credit he never showed any interest in getting into government or the corporate sector after 1994, where with his experience and skills he could have earned a big salary, great perks and enjoyed a very comfortable life, as happened to so many other former trade unionists. Instead, he consistently stuck to trying to build a strong civil society, especially in the light of the evident neglect of it by the ANC government after 1994. At a personal level he was always warm, approachable and highly dignified. There was also a discernible equanimity he seemed to possess, which benefited him immensely. I had never once seen him really angry. Though he never suffered fools gladly, never once that I can recall did he frontally attack or insult people. Somebody on Facebook said that in all the years that she’d known him, she never heard him talk ill of people once. She was completely correct. Try to drag him into slandering somebody, no matter who it was, and you would fail. But in a discussion of ideas, organisations and the important issues of the day, you would hear a lot from him. We have lost a great man who passed away far too soon at age 69, the result of complications following heart surgery. He worked up to the last days before falling ill. Phiroshaw leaves behind his wife and partner of 22 years, Anne Gordon, as well as his first wife, Jaloo Camay and their three children, Arnaaz Camay, Pareen Camay Rogers and Hormuz Camay. He also leaves behind his son-in-law, Mark Rogers and two beloved grandchildren, Zhara and Ethan Rogers, his brother, Behram Camay, sister-in-law Shamla Camay, nephew Bradley Camay and in Los Angeles, California, his brother, Nadir Camay, sister-in-law Zarine Camay and nieces Michelle and Nina Camay. Ebrahim Harvey is a writer, political analyst and author.